Jawes have a ravenous appetite and a fierce bite. They travel in small schools and use their combined power to rip larger ocean prey into shreds. Their powerful lower jaws have highly sharpened teeth that are made to rip rather than shear foes' flesh. Their wild nature causes them to often find themselves victims of bites from their own kind - tearing away pieces during feeding times. 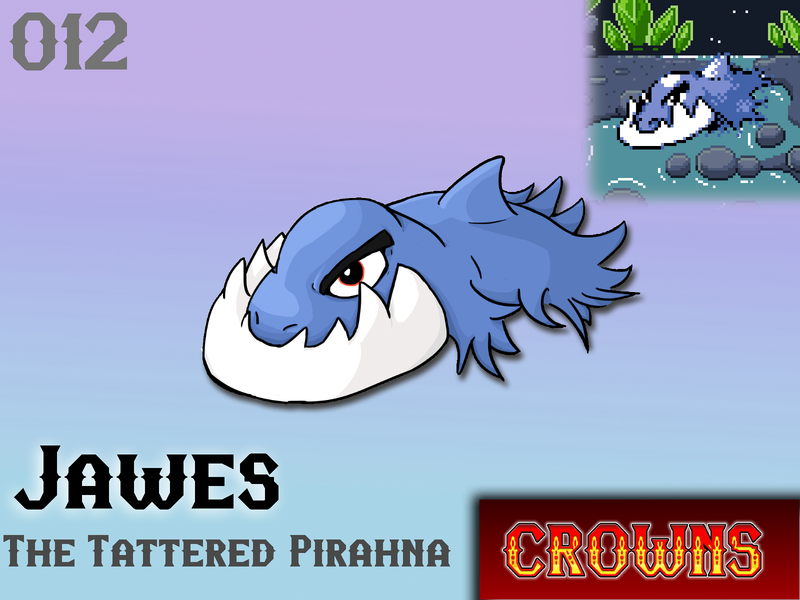 Despite this, Jawes do not seem to have any visible blood and do not bleed when caught in the frenzy. It is thought that they have evolved clear blood, in order to not cloud the vision of their school during attacks on large sea monsters. Will Jawes make your team?